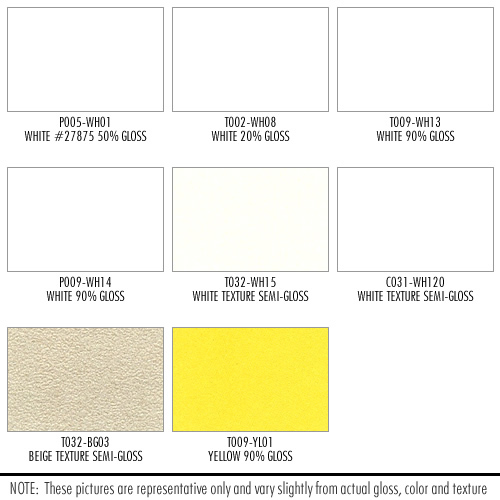 For more information about which finishes are available with which enclosures, see each of the shower enclosure series pages. 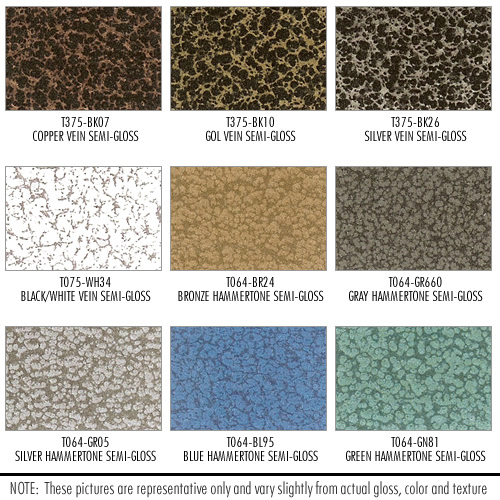 Directly below is a side-by-side comparison of all our finishes. 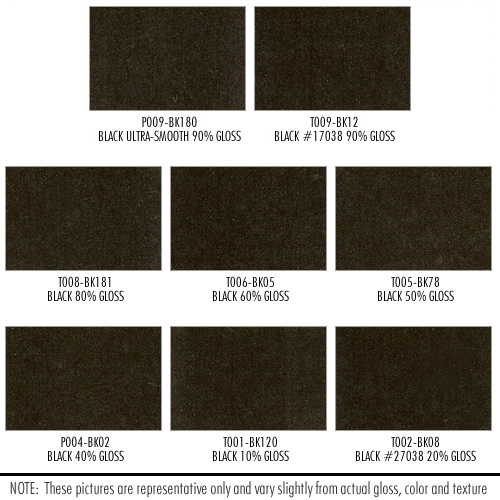 The Oil Rubbed Bronze is the classic bronze finish, and the Roman Bronze is more chocolatey and matches many of today's newer bronze fixtures and hardware. 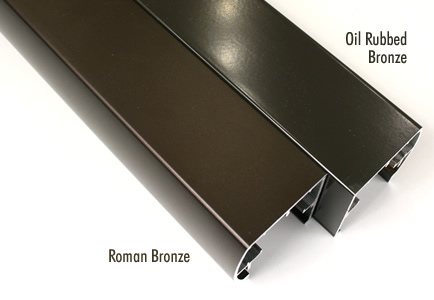 The Roman Bronze has more of a matte finish when compared with the Oil Rubbed Bronze. 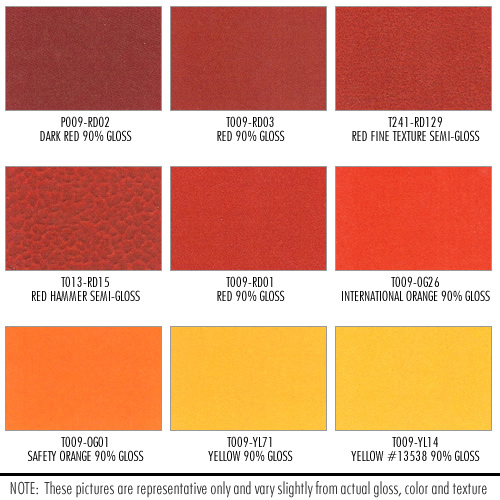 Pioneer Glass is pleased to offer a wide variety of custom powder coat colors for our shower enclosures. 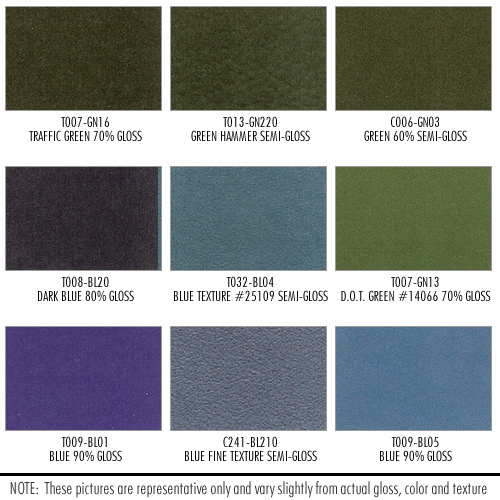 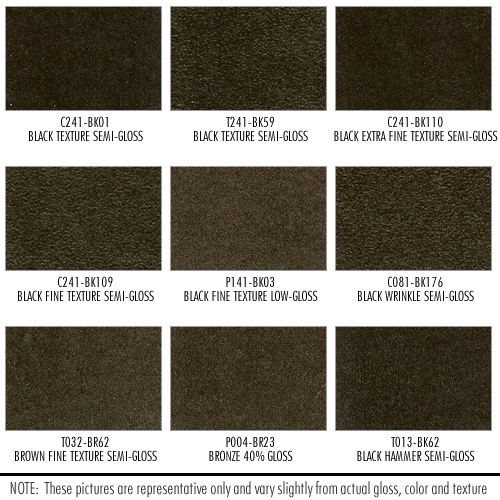 These colors can be applied to nearly any of our standard or custom shower enclosures to give your enclosure a unique look. 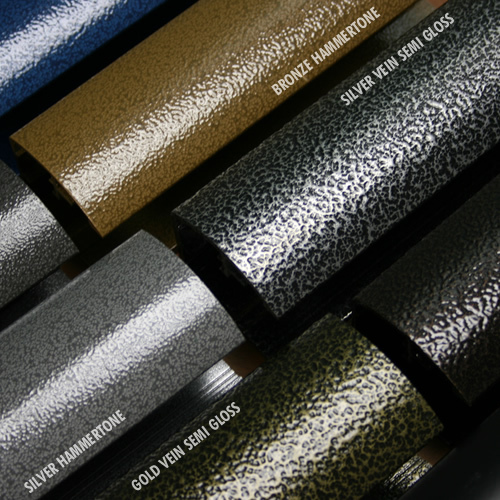 These finishes are extremely durable and will provide years of service.The Hammertone finishes provide some serious texture to the enclosure (see the photos). 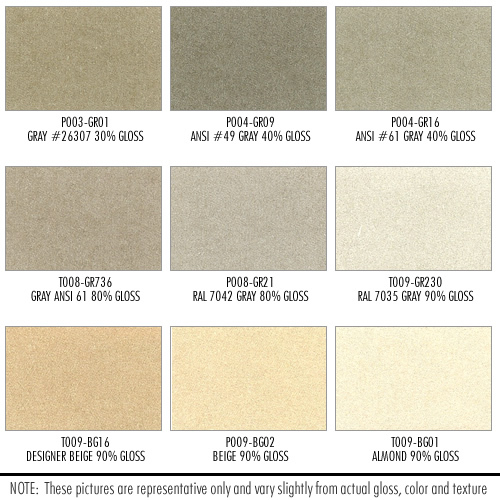 Several fine grain and rough grain colors are available. 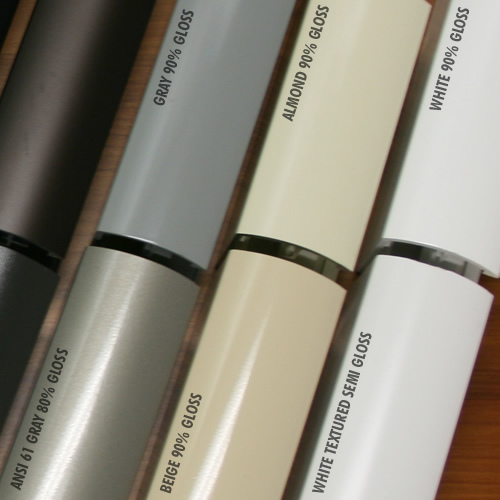 Hundreds of other colors are available via special order.